Z-endoxifen, a potent derivative of the drug tamoxifen, could itself be a new treatment for the most common form of breast cancer in women with metastatic disease. This finding was reported from a clinical trial conducted by researchers at Mayo Clinic and the National Cancer Institute, and published in the Journal of Clinical Oncology. The final results of a first-in-human phase I study of Z-endoxifen in women with estrogen receptor positive metastatic breast cancer showed that the treatment was safe and resulted in tumor shrinkage in women whose tumors had progressed on standard anti-estrogen therapies, including tamoxifen. “Tamoxifen, is converted into endoxifen in the liver by an enzyme called CYP2D6. Our previous research found that tamoxifen may be less effective in women with poor CYP2D6 metabolism,” says Matthew Goetz, M.D., the study’s lead author and an oncologist at Mayo Clinic. Based on laboratory studies showing that endoxifen better inhibits tumor growth compared to tamoxifen, Dr. Goetz and his colleagues partnered with researchers at the National Cancer Institute to develop Z-endoxifen, an experimental drug unaffected by CYP2D6 metabolism. Researchers studied 41 patients with estrogen positive metastatic breast cancer who had progressed on standard anti-estrogen treatments. 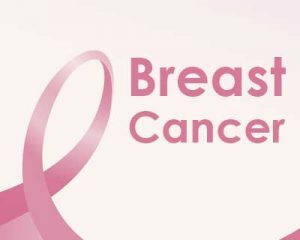 They concluded that, in patients with metastatic breast cancer who had progressed on standard anti-estrogen treatments, Z-endoxifen provides substantial drug exposure unaffected by CYP2D6 metabolism, acceptable toxicity, and promising anti-tumor activity. Dr. Goetz and investigators with the Alliance for Clinical Trials in Oncology and the National Cancer Institute recently completed a randomized trial comparing tamoxifen with Z-endoxifen. Results from this trial, A011203, are expected in 2018. “We are encouraged by these results and [are] hopeful that, based on these data and ongoing studies, Z-endoxifen could become a new U.S. Food and Drug Administration-approved treatment for women with estrogen positive metastatic breast cancer,” Dr. Goetz says.